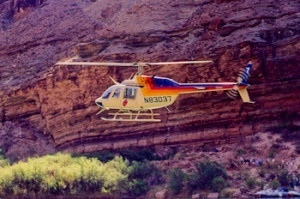 We enjoyed the well orchestrated airplane and helicopter flights into the Grand Canyon. The detailed planning and service on the "J" rig raft and the organized camp structure by Western River Expeditions. The Western guides were informative, passionate, experienced and kind people. We also enjoyed our fellow rafters. This whitewater rafting trip is highly recommended.